Are you looking for door installation Hillcrest, Washington DC services? Then, get in touch with King Door and Lock Maryland and DC! You will definitely be impressed by our thorough list of door replacement and repair professional services for homeowners and business owners. Do you want to switch your battered front door? Does your garage door just open half way? It’s especially important for organizations to have useful and proper entry doors. No matter what type of door you need, King Door and Lock offers 24 hour Hillcrest assistance. Industrial door replacement and repair is different from residential door installation and repair. Our specialists are skilled with both kinds of services. Industrial doors have to be constructed out of heavy duty caliber to handle their regular use on an everyday basis. 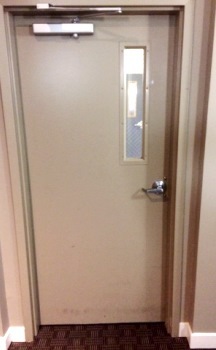 Compared to non-commercial doors, industrial doors are generally constructed with more complex hardware. You will definitely want our experienced experts working on your storefront door. We also recognize, as a business ourselves, that you are continuously keeping track of your bottom line. King Door and Lock Maryland and DC believes that you won’t get a better value pertaining to door replacement or door repair compared to what we supply. Be cautious about businesses with unbelievably cheap prices because it is highly possible that their work will be of cheaper quality. To make it easier for you, King Door and Lock implements upfront rates to make certain that there will be no surprise fees. Remodeling your household in the Hillcrest area and putting in a garage? Let King Door and Lock Maryland and DC deal with your garage door installation. It is essential that a garage door be managed by specialists. The garage is the ‘home’ for your vehicle and assorted other things that the majority of us store in there: lawn mowers, leaf blowers, motorcycles, etc. Because of the amount of belongings that we keep in our garages, it is crucial that they are secure and working properly. You want the job performed correctly by our professional techs utilizing their high tech tools and equipment that allow them to take care of any job of this nature. For those who already have a garage door but it really isn’t functional, phone King Door and Lock for high quality garage door repair in Maryland and DC. For the very same explanations presented above, you need to make certain that garage door repair is carried out properly at the beginning to secure the possessions you keep in there. Our skilled technicians will look into your garage door and let you know if it needs replacing or if it can just be repaired. We will explain to you what it will cost in advance so there won’t be any hidden fees when you receive the invoice. King Door and Lock excels not only with residential garage doors but our crew also repairs and installs commercial garage doors. Use our full door solutions so that our business can help your company to succeed. Our fast and helpful experts can get to your office quickly to let you know how much replacement or repair is going to cost. We will subsequently deal with the work effectively and courteously so you’re able to give attention to your own company. The team at King Door and Lock performs exceptionally well at repairing and installing all sorts of non-commercial doors. Are you interested in a new screen door? If so, call our staff to find out precisely what screen door professional services you may need. We provide you with honest pricing to ensure no surprise charges. The entry door of your home is the initial thing guests will see once entering. A front door replacement with King Door and Lock will give off the aura of skillfulness, quality, and professionalism to anyone who walks through it. Our company is up-front regarding our front door installation and repair prices. You can have confidence in the work that we do when installing one of your doors. Aside from fixing front doors, we’re able to also take care of back doors or patio doors. Based on how damaged the door is, we are able to either perform a patio door repair or complete replacement. Our highly skilled door experts provide only the most premium door replacement and door installation Hillcrest, Washington DC service. The technicians at King Door and Lock Maryland and DC are your door industry experts. For door installation Hillcrest, DC assistance, contact us. We provide total door solutions: door repair, door replacement, door installation. Our 24/7 door expertise covers household doors, commercial doors, and garage doors. Together with external door replacement, repair, or installation we can also repair or remove and replace internal doors in a home or commercial building. Interior doors our company specializes in installing and repairing include bedroom doors, pocket doors, and closet doors. Initially, our technicians will ascertain what kind of work is required to be carried out. You might not necessarily require a new door put in. It might be an issue of a door jamb repair or even a door hinge repair. If the frame of the door is damaged, then perhaps a door frame repair is all that might be essential. Our specialists will find the problem, figure out what really needs to be done, and afterwards, provide you with straightforward prices so you have the details you will need to make a good decision. If you’re in Hillcrest and the surrounding area, contact us right now. We are here for you 24/7! 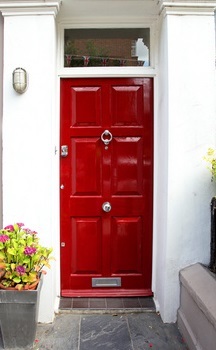 Our Door Installation Hillcrest, DC Services https://kingdoorandlock.com/dc-door-installation/hillcrest/ 4.0/5 based upon 10 reviews.